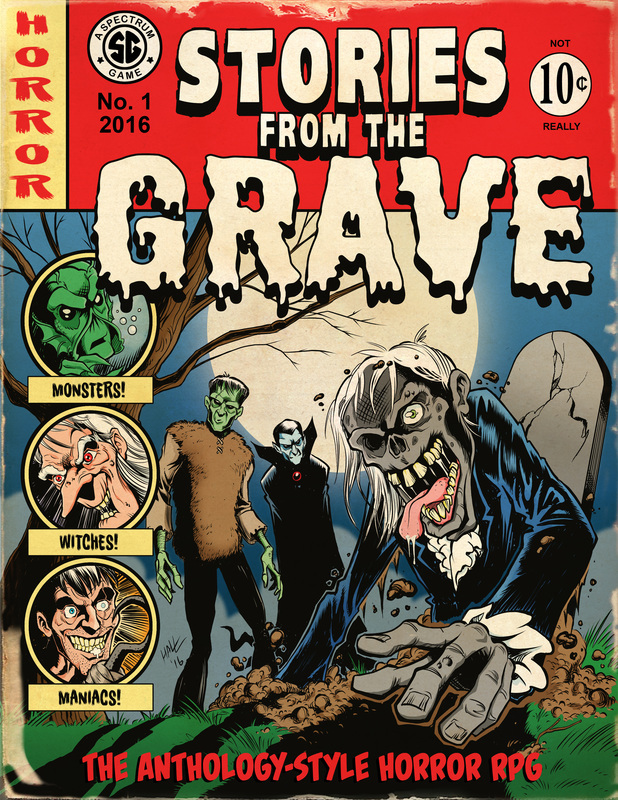 Stories from the Grave is a roleplaying game that faithfully emulates anthology-style horror comics, TV shows and movies. It is powered by the Intention System, the same rule set that powers Retrostar, though it has been extensively altered so that it accommodates the play style necessary to bring the source material to dripping, oozing, gore-soaked un-life. The game is built around making it possible to play out several short stories in a single setting, with each one feeling exactly like the kinds of tales spun in the comics, shows and films of the genre. Players are rewarded more for making the story more entertaining than for "staying alive", as anyone who is familiar with the source material can tell you, many of these stories focused on truly reprehensible people who ultimately get their just comeuppance. They can acquire help from a communal pool of Grave Tokens that can be snatched up and used to lend a hand... but not without a price. After all, one of the main themes of anthology-style horror is that you can never get something for nothing. The Grave Keeper has plenty of tools at their disposal as well, including Story Frames that can be used as the foundation for virtually any tale imaginable. Every effort has been made to keep it easy to set up and run games of Stories from the Grave. "Greetings, freaks and fiends. 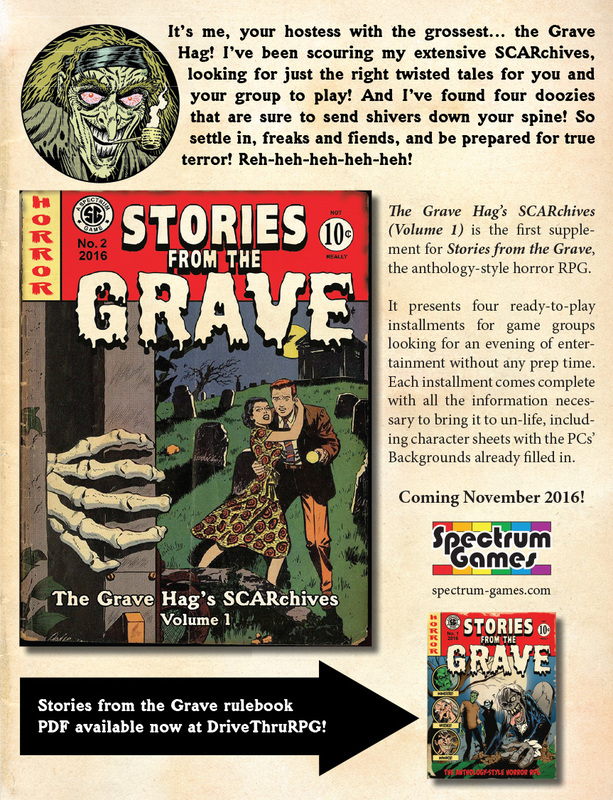 It's your hostess with the grossest here... the Grave Hag! I'm here to let you know that you can get a peek at how the game works by clicking my gore-trait and downloading an extensive 'example of play'. Reh-heh-heh-heh!"